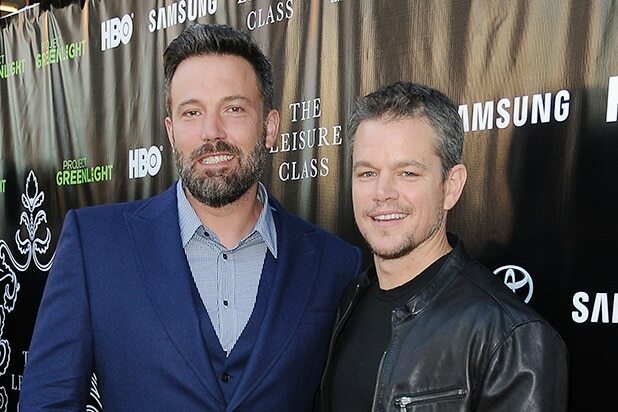 Even Batman took the opportunity to honor his best friend Matt Damon on Wednesday’s National Best Friends Day. Ben Affleck took to Instagram to post a collage of the “Jason Bourne” star. The snapshots seem to be from one of Damon’s birthday parties, where he smashed Affleck’s face into the cake. “This guy. #NationalBestFriendsDay,” Affleck captioned the image. The duo co-wrote and co-starred in 1997’s “Good Will Hunting” together, which first shot their friendship into the limelight. More recently, Affleck and Damon accepted the Guys of the Decade award at the Spike TV Guy’s Choice Awards on Sunday. See Affleck’s sweet Instagram below.